I’ve told the guys to keep their heads up. I really believe we played a great game here. It’s always good to win a Test match and if you win it comfortably, it can leave a few psychological marks on opposition sides. It’s nice to put your hand up and do the big things the team requires of you. 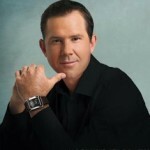 Ricky Thomas Ponting AO, nicknamed Punter, is an Australian cricketer, a former captain of the Australia national cricket team between 2004 and 2011 in Test cricket and 2002 and 2011 in One Day International cricket.